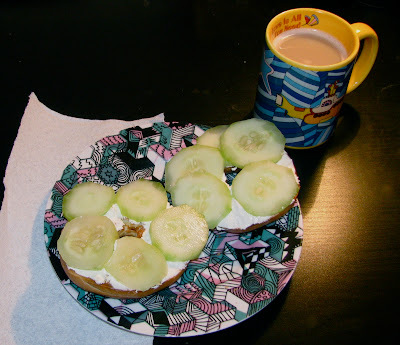 Cucumber and cream cheese bagel + chai tea = <3! Will You Please Spend New Year's Eve With Me? Some of My Favorite Things At Work Right Now..